It should suffice to say that Christians should be leaders in all aspects of ethics. While it would be encouraging for the church to lead in the arts, sciences, and any other number of topics or fields, ethics especially find their center in the work of Jesus Christ. Through the redemptive work of Christ, the church should pursue ethics apart from any condemnation of the law. To paraphrase Martin Luther, God does not need our good works, but our neighbors do. Thusly the Bible boils down the horizontal elements of the Mosaic law to “Love your neighbor as yourself.” This is the crucible of Christian ethics. In an expansive and fallen world, there are many ways in which Christians can emphasize this ethical love of neighbor. These emphases can change from culture to culture at different times. The calling upon the church is to listen to the gospel of its Savior and the cries of its neighbors. In reflecting honestly upon both, the Christian can identify crises within different spheres of culture. It is beyond the scope of this work to address all the avenues of ethical reform available to the church. One must focus on the particulars placed in front of them—there is a crisis spanning a number of spheres in coffee ethics. This might seem dramatic at first. However, considering coffee has become the bloodline of western culture, it should not be seen as dramatic at all. One need only count the number of Starbucks® in their city or (the closest big) town. Their inclusion in Target® and grocery stores throughout the country is a testament to the success of coffee as a business. The mainline success of the coffee shop can potentially be linked to the television show Friends. It can be seen as the place for community gatherings drifting from the pub/bar to a more family-oriented, socially acceptable shop. Subsequent to this commercial success, coffee has pervaded the private sphere of our lives from this public space. It is now a staple at most events. As a result, intentional efforts have been put forth to ensure making coffee is a simple task with minimal effort required. Like the heresy of “easy believism” among evangelicals, easy coffee making has eroded Christian sanctification and coffee ethics. This is particularly disturbing since this increase in coffee drinking prompts questions previously unfaced. Politicians and scientists continue to discuss these questions, many hoping to justify validation of the massive consumption occurring in homes, schools, churches, and workplaces. Needless to say, if Jesus were alive today, he would be asked to turn water into coffee all over the world—especially at church meetings. As would only be fitting, his coffee would be the greatest and richest coffee any of us would ever taste. It would never run out. People would rave endlessly. And no, we don’t mean any of that in a Donald Trump sort of way. But seriously, everyone would agree, Christ’s coffee would be the best. 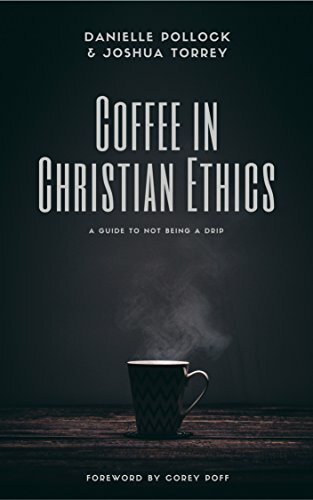 In our union with Jesus Christ, we get a foretaste of a greater eschatological coffee while practicing Christian ethics, particularly Christian ethics pertaining to coffee. The need for clear communication of God’s grace in the realm of coffee is great. Because we have been forgiven, we are to forgive. Because we have been given this foretaste, we must pass on this foretaste. It is the job of Christian ethics to pass on this small foretaste. If not in coffee quality, then at least through loving our neighbor with our coffee ethics. We must think of others and their coffee consumption before ourselves. We must consider their need for coffee as greater than our own. This requires us to have a thorough understanding of coffee and how to prepare it. We must rethink the importance of coffee in everyday activities as we focus on others. Jul 20 Appropriately Analyzing "An Introduction"